Zhau (Troy) Zhixun 7d was named 2019 Texas State Champion after his victory in the South Central Go Tournament in Dallas on February 15th and 16th. 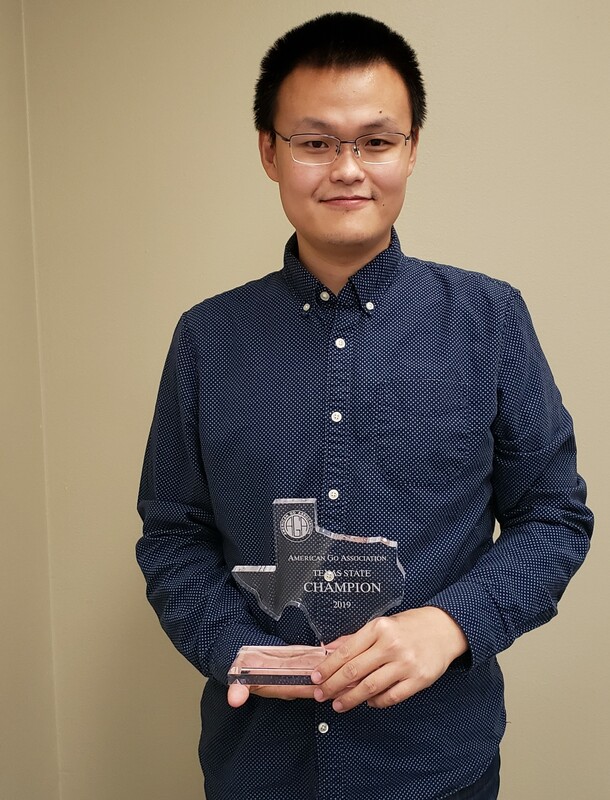 Among other prizes for winning the tournament, Troy received the 2019 Texas State Championship trophy and his name will be engraved on a perpetual plaque that will include the names of Texas State Champions for each year. Troy lives in Austin, where he’s helped develop interest in the game of go, including the founding of the Austin Go Center for teaching go to area children. Soren Jaffe topped the March 2 Lake Erie Go Tournament. Nineteen players gathered on the Lake Erie College campus to play in the four-round tournament. Players’ skills ranged from 5 dan to 25 kyu. The tournament was co-directed by Soren Jaffe and Catherine Swank. American and Canadian women players 5D and stronger are invited to submit their names by March 5 for a chance to represent North America in the second Wu Qingyuan Cup, to be played April 26-30 in Fuzhou, China. North America and Europe have each been invited to send a team of four players, pro or amateur, to the event. The standard AGA and CGA eligibility rules will apply. The tournament will continue with semifinals in November for the top finishers. Please submit to tournaments@usgo.org with questions or your entry. 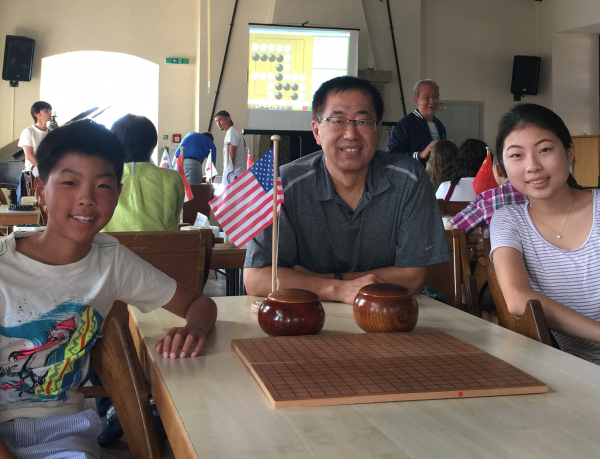 The Ing Foundations annual World Youth Goe Championship will be held in Xian, China, July 22-27, and registration for the preliminaries is now open, reports Mingjiu Jiang 7P. “The tournament is open to US citizens, resident in the US for at least 6 of the past 12 months; Senior Group (Age 12—15) Junior Group (Age under 12). Players cannot attend in the same group more than twice in 3 years, for instance, if you obtain the seat this year, you cannot join the US team again for 3 years,” says Jiang. The qualifier games will be played on KGS, with Ing rules, 1 hour 3/30 each. Skype video call will be required for all games. “We will pick the top four players of each group,” said Jiang. The final winner of each group will be invited to play this year’s Ing’s World Youth Cup in China. The qualifier will be Mar. 23 and 24. At 9:00am PST and 1:00pm PST. To register email mingjiu7p@hotmail.com or call (650-796-1602) by Mar.17, 2019. Please include your name, date of birth, rank, KGS ID, phone number and address. - Paul Barchilon, EJ Youth Editor. Photo: Last year’s team, Elwin Li, Mingjiu Jiang, and Melissa Cao. Photo by Mingjiu Jiang. The National Go Center’s first ever Pair Go and Paella Night last Friday was a big hit. Nearly 30 turned out to sample E-Journal Managing Editor Chris Garlock’s vegetable paella with garlic sauce and then thirteen pairs competed with strong contingents from University of MD and the Baltimore Go Club, including the undefeated pair of Blair Chisholm and Keith Arnold. Organizer and TD Hal Small also went undefeated with his wife Betsy. 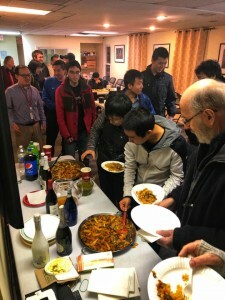 “There was a strong sentiment for a monthly Friday night social with interest in either Pair Go or a Lightning Tourney – and of course paella!” reports organizer Haskell Small. In other NGC news, last week’s snowed-out Community Meeting will be held this Wednesday. “This month we’ll be discussing social media and promotion to get the word out about the NGC,” says Gurujeet Khalsa. 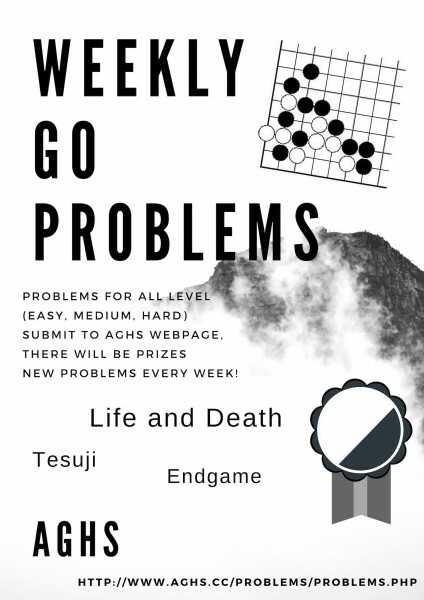 “We’ll talk about our first 2-day Cherry Blossom tournament coming up on 3/30-3/31 as well.” The meeting starts at 7p on Wednesday Feb. 27; “bring your best ideas, then stay and play some Go.” Pizza will be served. Fang Jia Hsu topped a field of 62 players competing for $3,000 in prizes at the 27th Jiang Zhu Jiu Ing Cup on February 10 in San Francisco, California. The annual event is sponsored by Ing’s Goe Foundation of California. Players competed for four rounds in five sections with Fang Jia Hsu winning the top section. Prizes in each section were given to fourth place. Once again several players came from China for the tournament, including the family of Rui Naijian, the brother of Rui Nai Wei 9P. You can find the complete tournament summary here. 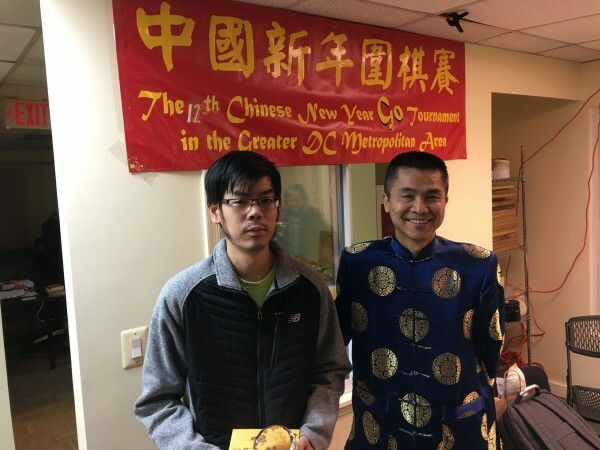 Forty four players turned out for the annual Chinese Lunar New Year Tournament at the National Go Center last weekend, which Eric Lui 1P (left) swept 4-0. 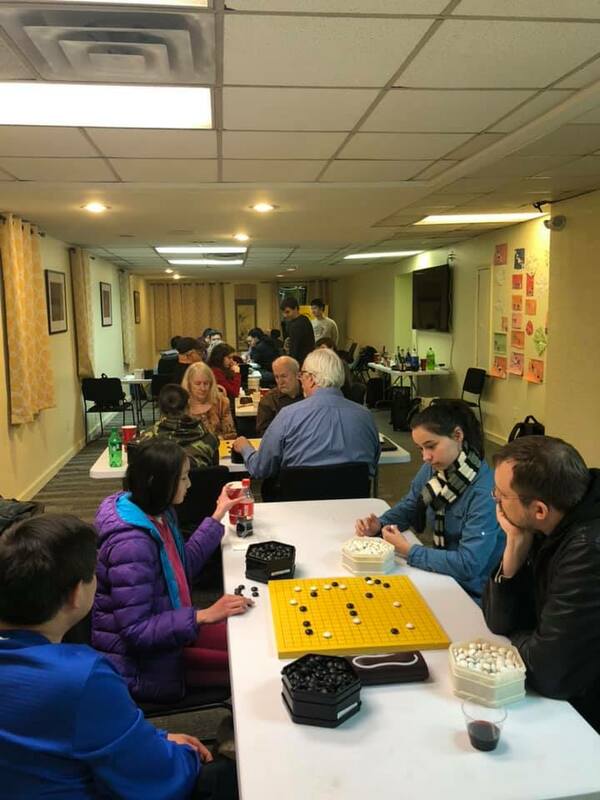 There was continued great support and prizes from the local Chinese community and organization by Ching-Sung Chin including an additional beginner’s tourney for children in the afternoon. The National Go Center is planning its first ever 2-day tournament on March 30-31. This 5-round event will be an annual Cherry Blossom celebration and an AGA State Championship for the Greater DC Area. 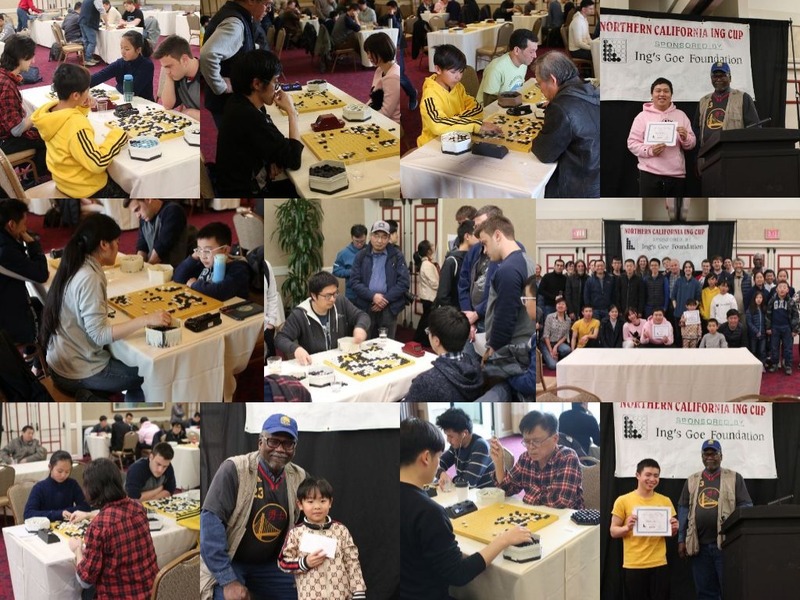 The 26th edition of the Redmond Cup is open for registration, and strong young players are invited to compete in the most prestigious North American youth tournament of the year. Online preliminary competition will begin on March 11th, with the top two players in the Junior (12 and under) and Senior (13-17) divisions receiving invitations to a best-of-3 finals that will take place between July 13-20 at the US Go Congress in Madison, Wisconsin. Finalists win a free trip to the Congress, courtesy of the American Go Foundation, and all participants who complete the preliminary tournament will also be eligible for a $200 scholarship to congress. 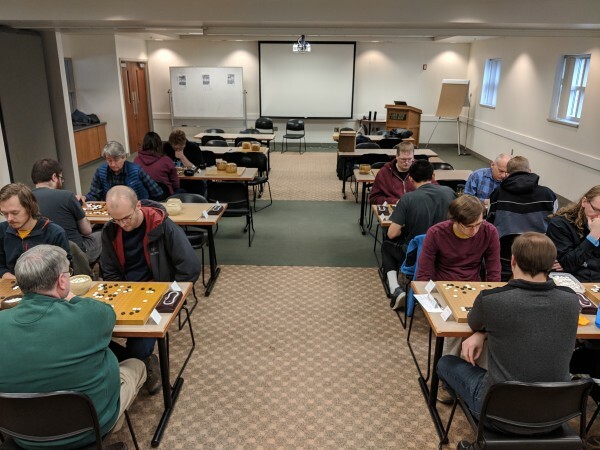 Competitors must have an accredited rank of 1 dan or higher to enter the Redmond Cup, reside in either the US, Canada, or Mexico, and be a member of his or her respective national go association. Registration is open until March 6th; for more details about the tournament, please read the Rules and Regulations. -Story and photo by Justin Teng. 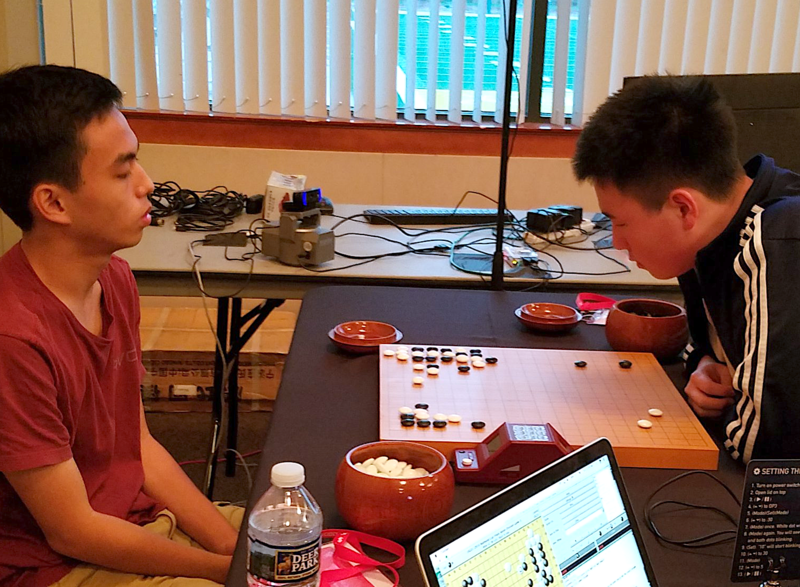 Photo: 2018 Finalists Jeremy Chiu 7d (l) vs. Redmond Meijin Aaron Ye 7d (r).